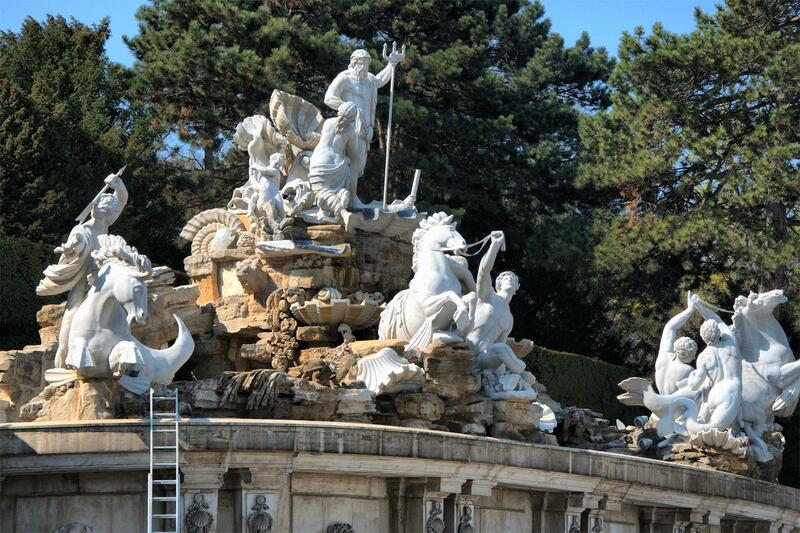 The Neptune fountain was built at the foot of the hill behind the Schonbrunn Palace in 1780. Marble statue shows the god of the sea with the trident in his hand. Nymph Fetida is at his left begging to help his son Achilles to conquer Troy. And a bit below there are tritons frolicing and restraining the sea horses.